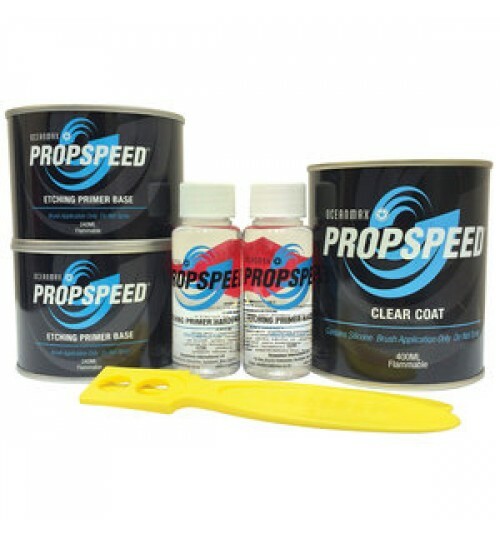 Choose from Propspeed Running Gear Coating by Oceanmax, (Propspeed Antifouling) and the best Propspeed alternative on the market, PropGlide™ Propeller and Running Gear Coatings that are non toxic and foul-release systems and are not pesticide antifouling, but slick coatings that growth cannot attach to thus improving your boat speed and fuel efficiency. 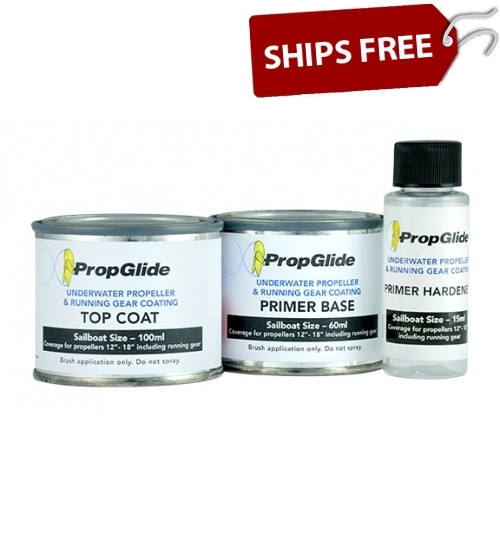 This propeller paint is the perfect answer. 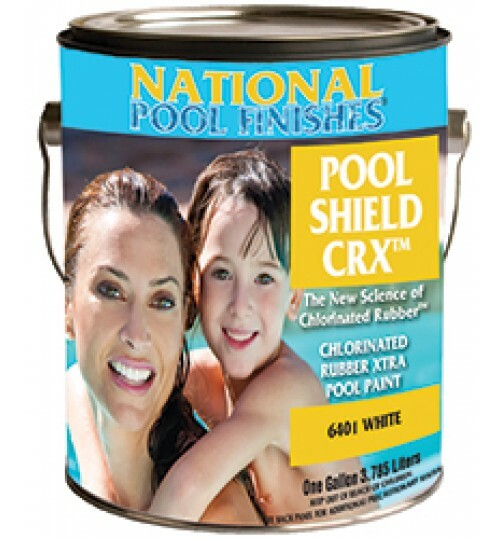 Fouling of running gear is a constant headache for boat-owners, resulting in increased fuel consumption, loss of speed and excessive noise and vibration. The loss of performance is most keenly felt in sport boats, but is also evident in the increased cost of running larger commercial vessels. 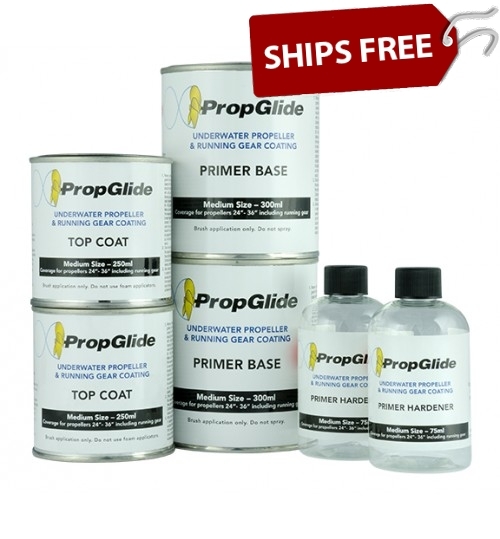 Compare the price of Propspeed kits and PropGlide™ Propeller Paint Kits. 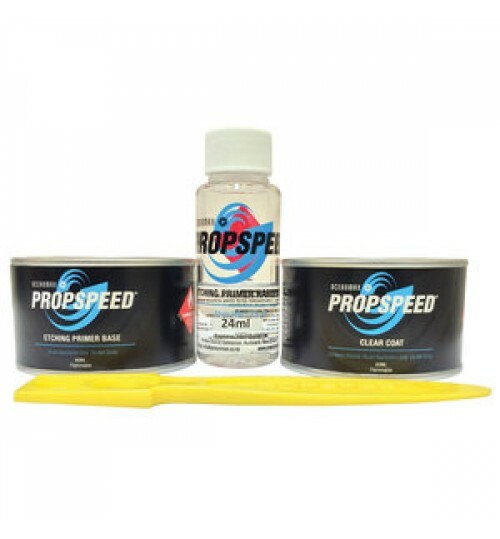 Note: Propspeed™ is a registered trademark of Oceanmax. 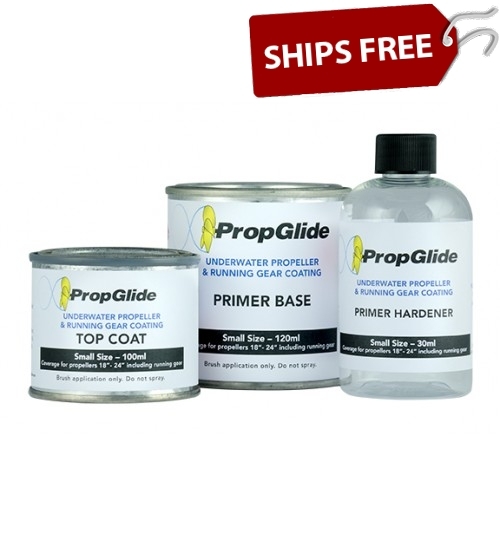 Bottom Paint Store is not affiliated with Propspeed or Oceanmax in anyway. 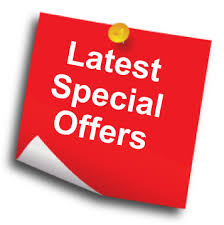 Below Propspeed prices and PropGlide prices are based on internet web search October 2016 . 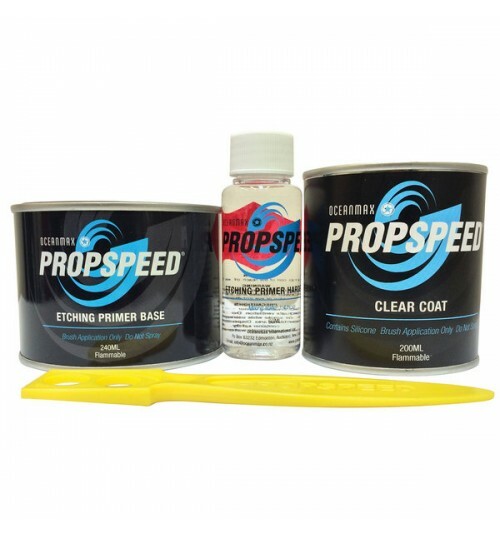 *Save 40% Compared to Propspeed! 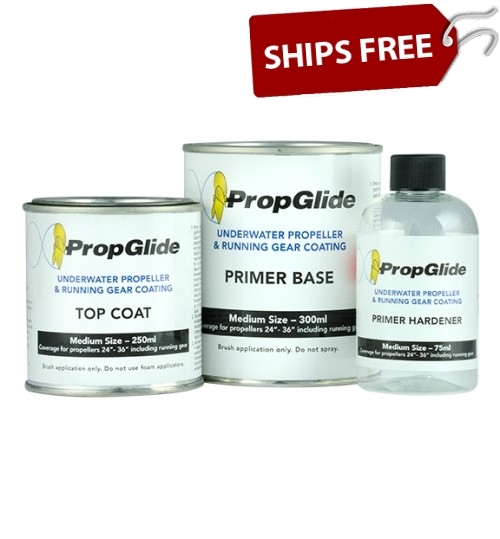 SPECIAL OFFER: Plus Take an Additional 10% OFF PropGlide Kits!